You’ve got time to kill on your arrival or departure day. You’re taking a chill day mid-vacation. You’ve got a park-phobic in your party. Whatever the reason, there may be times when you’re at Walt Disney World, but can’t, or don’t want to, venture into a theme park. Here’s a handy list of 101 ways to keep busy and have fun without heading into the parks. Before I get going, let me say that one oft-mentioned reason for avoiding the theme parks is to save money. I mean, going into the park means a big outlay of funds for admission, right? Well, yes, if you’re going into the parks, you will need a ticket, but you should be aware that spending a day in the park may actually end up cheaper than looking for fun elsewhere. For example, the price difference between an 8-day park ticket and a 9-day park ticket is only about $10 per adult. Even simple activities like mini-golf ($14 per adult at Winter Summerland) or a trip to the movies ($11.75 per adult evening ticket at AMC Downtown Disney) will cost more than that. The math is less clear with a shorter stay, and you still may want or need to avoid the parks for sanity purposes, but you should sit down and do the math to make sure that a non-park day makes financial sense for you. Dine with Characters. Several of the character meals are located outside the theme parks. Try Chef Mickey’s at the Contemporary (breakfast and dinner), ‘Ohana at the Polynesian (breakfast), Cape May Cafe at the Beach Club (breakfast), or 1900 Park Fare at the Grand Floridian (breakfast and dinner). Play miniature golf. There are two courses on site, Winter Summerland and Fantasia Gardens, accessible via Disney’s free transportation system. The Beach at the Polynesian is a great place to play, watch the fireworks and Electric Water Pageant, or just take a nap. Take in a movie at AMC’s 24 theater complex at Downtown Disney. See Cirque du Soliel La Nouba. Swim at your resort’s pool. Visit the horses and watch the blacksmith at Fort Wilderness. Take a culinary tour of the Animal Kingdom Lodge. Watch an outdoor movie at your resort. Attend the free Chip & Dale Campfire Singalong at Fort Wilderness. Take a day trip Kennedy Space Center, a bit over an hour away in Port Canaveral. Hang out at the Downtown Disney Lego Store. Kids can play for hours in their open block area. Tour the holiday decorations at the Disney resorts, mid-November until the first week of January. Visit the Senses Spa at Saratoga Springs or the Grand Floridian. Explore the resorts on a surrey bike. Go for a run. Many of the Disney resorts have lovely jogging trails nearby. Inquire at your hotel’s concierge desk. Go fishing. For bass tours, visit disneyworldfishing.com. Pole rentals are available at Fort Wilderness and Port Orleans. Play golf. 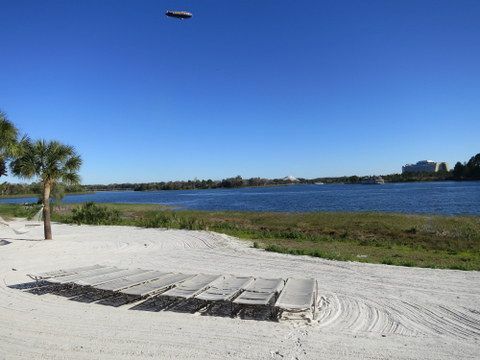 Disney’s Palm, Magnolia, and Lake Buena Vista links are standard 18-hole courses. Oak Trail is a nine-hole course perfect for beginners. Call 407-WDW-GOLF for more information. 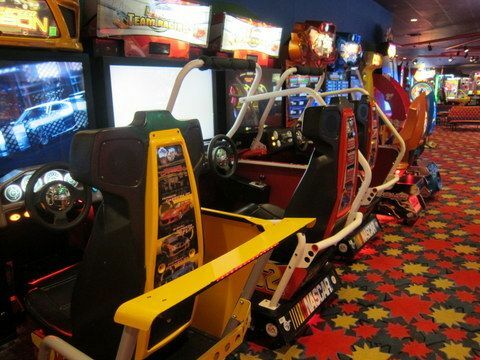 Your resort arcade can keep the kiddos busy when you’re not heading to the parks. Go on a shopping spree at the Downtown Disney World of Disney store. Rent a canoe. Stop by the Fort Wilderness bike barn for hourly rentals. Hear a concert at the House of Blues. Have drink and sing along with the gang at Jellyrolls piano bar. Get your groove on at Atlantic Dance Hall. Watch the big game at the ESPN Club on the Boardwalk. Stroll around the Boardwalk and watch the free evening entertainment: magicians, musicians, jugglers, etc. 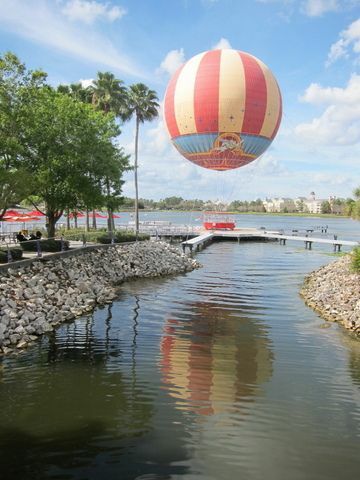 See Disney World from the air on the Characters in Flight tethered balloon ride. Take a spin in a stock car at the Richard Petty Driving Experience. Shop at the Orlando area outlet malls. Learn about all things automotive at Car Masters Weekend. Volunteer at Give Kids the World. This wonderful organization provides cost-free vacations for children with life-threatening illnesses and their families. It an awe-inspiring place. Take a tour of Fort Wilderness on horseback. Send the kids on a pirate adventure. Boat trips for children depart from the Yacht Club, Port Orleans Riverside, Caribbean Beach Resort, and the Grand Floridian. Call 407-WDW-PLAY for more information. Play tennis. Courts are available at Saratoga Springs, Yacht Club, Fort Wilderness, Contemporary, Animal Kingdom Lodge, Boardwalk, and Old Key West. A carriage ride is a pleasant non-park diversion. Watch Atlanta Braves Spring training at the ESPN Wide World of Sports Complex. Take a nice long nap. Have a drink or three at your resort’s lounge. Rent a cabana. Available at most deluxe resorts. Have your own poolside oasis with comfy chairs, a tv, fresh towels, and the service of an attendant. Ride the monorail. All the Walt Disney World transportation is free. Check out the animals at the Animal Kingdom Lodge. Evening visitors can borrow night vision goggles to view the savannah. Karaoke, baby. Kimonos bar at the Swan features karaoke in the evenings. Go gluten free. Babycakes NYC features cookies, cakes, donuts, and other sweet treats that are gluten-free, egg-free, vegan, and yes, delicious. 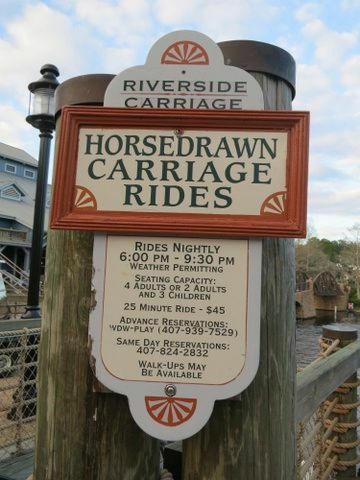 Take a horse-drawn carriage ride at Fort Wilderness or Port Orleans. Watch Irish Step Dancing. Music and dancing are part of the entertainment at Downtown Disney’s Raglan Road. Tour a Golden Oak. Pretend you’re Thurston Howell and get an agent to show you the poshy posh posh homes located right on Disney property. Hoop Dee Doo! The Hoop Dee Doo Musical Revue is a classic dinner show performed at Fort Wilderness Pioneer hall. Hootin’ and hollerin’ with beer, wine, and sangria included. Take tea. The Garden View Lounge at the Grand Floridian offers an oh-so-civilized afternoon tea service. For the younger set, try the Wonderland Tea Party or My Disney Girl’s Perfectly Princess Tea Party. Get more information at 407-WDW-DINE. Hang out in the arcade. Watch Wishes. The Magic Kingdom fireworks show can be seen from many locations outside the park. Pull up some sand on the Polynesian beach or grab dinner at the newly renovated California Grill and see the lights from a different vantage point. Ride a carousel. The mini carousel at Downtown Disney is the perfect place for little ones to get their first play on the ponies. Your resort pool can keep you occupied when you’re not in the theme parks. Dine with an Imagineer. Get up close and personal with a real Disney Imagineer during a meal at the Boardwalk’s Flying Fish restaurant. Take an archery lesson at Fort Wilderness. Merida better watch out! Watch a geyser blow. This simulated surge takes place every hour at the Wilderness Lodge. Become at knight at Medieval Times in nearby Kissimmee. Shoot some pool. There are free tables located just outside the Turf Club Bar and Grill at Saratoga Springs. Return to prehistoric times. The audioanimatronic dinosaurs at Downtown Disney’s T-Rex Cafe will have you thinking you’re back in the Stone Age. Take a free tour of the Wilderness Lodge. Dance with Mickey at the Backyard BBQ. Learn to hula at the Spirit of Aloha dinner show..
Make tee shirts for the gang. Visit the Hanes Design-A-Tee shop at Downtown Disney to create custom shirts in sizes from baby to big guy. 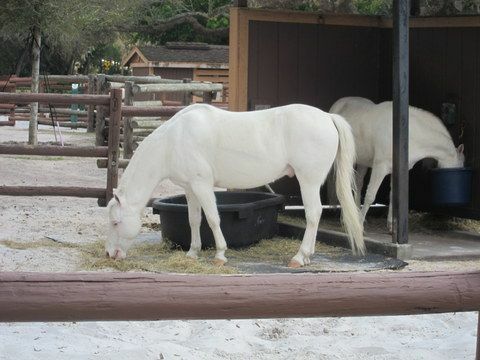 There’s lots to do at Fort Wilderness, including a visit with Cinderella’s ponies. Watch the Electrical Water Pageant. This free boat parade passes by the Magic Kingdom and area resorts every evening, weather permitting. Get wet at the water parks. Borrow a DVD. 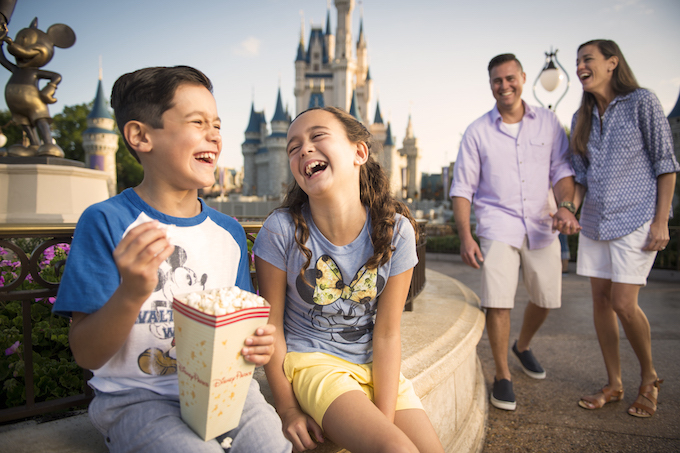 Guests of the Disney Vacation Club villas get free DVD rentals during their stay. Ditch the kids. Several Disney resorts offer Children’s Activity Centers (aka group babysitting) with crafts, movies, computers, and more. Fun for the kiddos while the grown-ups grab some alone time. Build a sand castle. There are sandy beach areas at the many of the Disney resorts. While you can’t swim in the water, the sand is perfect for digging and sculpting. Hit the beach. Real live beach areas (you know, with the ocean) are about an hour away from the parks. Take a Segway tour of Fort Wilderness. Build your own remote control car. Ridemakerz at Downtown Disney stocks engines, bodies, wheels, and lots of auto bling for you to assemble into your very own remote control racer. Have the best meal of your life. Victoria & Albert’s. ’nuff said. Make your own treat at Goofy’s Candy Company, Downtown Disney. Choose cookies, apples, pretzels, or marshmallows. Dip them in caramel, white chocolate, or milk chocolate. Cover them with nuts, sprinkles, cookie crumbs, or more chocolate. Yes! Strike out. The new Splitsville luxury lanes feature bowling served up with great eats. Get some real exercise at a resort fitness center. Make a trade. Stop by your resort’s gift shop or the pin trading station at Downtown Disney. You can tweak your collection by swapping pins or Vinylmation figures with the cast members or other guests. Hunt for Hidden Mickeys at your resort. Buy some art at the annual Festival of the Masters. Crash a wedding. I’m not encouraging you to pull a Vince Vaughn, but if you station yourself near Disney’s Wedding Pavillion for a while, you’re bound to see some wedding parties and blushing brides heading to their nuptials. Always charming. Meet a celebrity chef. Iron Chef Cat Cora isn’t at her Boardwalk restaurant Kouzzina all the time, but she does stop by occasionally and often chats with guests when she’s in town. Visit Cinderella’s horses. The team of white ponies uses to pull Cindy’s carriage boards at Fort Wilderness. You’re welcome to watch their grooming and feeding, and maybe even give them a hug. Play volleyball. Most of the resorts with sand beaches also have a volleyball net on site. Ask the nearby lifeguard to lend you a ball. Become a princess. The Downtown Disney location of the Bibbidi Bobbidi Boutique has all the same services as the one in the Magic Kingdom. Characters in Flight allows you to see the theme parks without going in them. Grab a Dole Whip. Captain Cook’s in the Polynesian resort serves the same pineapple ambrosia that they dish out in Adventureland. Pick A Pearl. Stands are located at the Beach Club resort and at Downtown Disney. Choose an oyster and see what lies within. Take the free Sanaa Cultural Tour. Watch a brewmaster in action at the Big River Grille. Snack your way through dinner at the new Downtown Disney food trucks. Listen to some jazz. A jazz and Dixie band performs nightly at the Grand Floridian, for free. Yeeha Bob! at Port Orleans Riverside River Roost lounge. Hit the gym. Need to work off the Kitchen Sink? 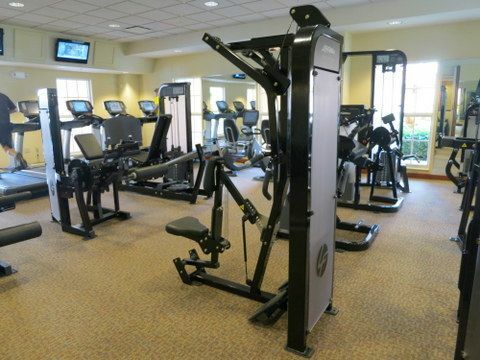 The deluxe resorts and Coronado Spring resort feature fitness centers with cardio machines, weights, and much more. Go old school with board games. The Disney Vacation Club resort community halls stock a full range of family board games for guests to borrow. Show the rest of the family that you’re the master of Trouble! Get some real coffee. Now that Starbucks has made its way into the Disney universe, finding palatable caffeine isn’t the challenge that it once was, but until the Goddess opens her outpost at Downtown Disney, you’ll have to head over to the coffee bar at the Dolphin to get your Starbucks fix outside the parks. Create your own beauty product mix. The Basin stores in the Grand Floridian and Downtown Disney both feature heaping bowls of bath salts that you can combine into your personal blend. Go to church. If services are important to you, your resort concierge can help you find a nearby congregation that meets your needs. Many local churches welcome visitors. Scout for wildlife. There’s a lovely walking path between the Wilderness Lodge and Fort Wilderness. I spot live deer, birds, and several species of forest creatures every time stroll here. Read a trashy novel. We won’t judge. Toss a ball or Frisbee. 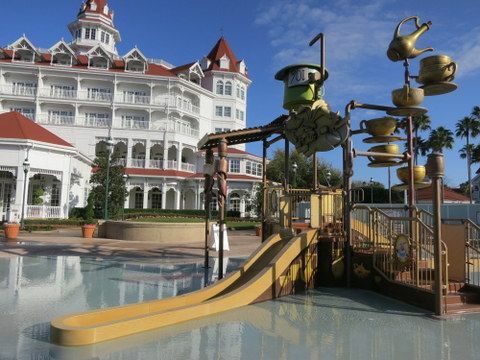 Most of the Disney resorts have open areas suitable for active play. Be careful not to disturb other guests, but feel free to let the kiddos burn off some steam on the grass or the beach. Many resort gift shops have balls available for purchase. Learn to surf. Typhoon Lagoon offers lessons. Make a friend. 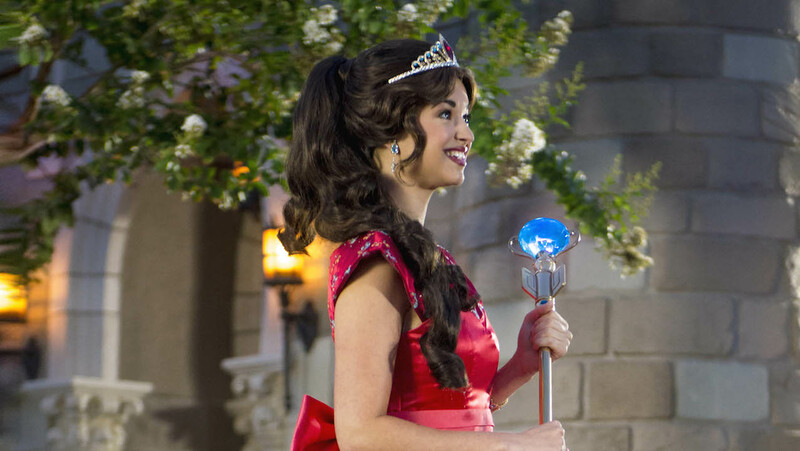 Disney guests and cast members come from every state and all over the world. Strike up a conversation at the pool, bar, or spa. You never know who you’ll meet. Book your next trip. Disney typically offers discounts to repeat visitors if they book their next vacation during their current vacation. Look for an offer sheet in your room, or if you don’t see one, speak to your resort concierge about a “Bounce Back” discount. So what have I missed? Is there something that YOU always do when you’re spending a day away from the parks? Let us know in the comments below. I hit the outlet malls. Love this list! As a local, we often do these things to escape the crowds or change it up a bit. Renting a boat at Disney’s Resort Marinas is great for just two or parties of ten. Off site we are loving the Orlando Science Center just 20 minutes away from Disney World. Taking a tour with a Disney Vacation Club Rep is great use of time with one caveat– you will be tempted to buy! you just do the tour for the ice cream at the end don’t you? lol. You know me Amanda–that is true! Haha! #30 is the BEST!!! Our family stayed there in 2002 (my daughter had leukemia) and the volunteers were “angels”! Thank you so much for including GKTW in your books and website. Give Kids the World is a truly remarkable organization. I’m glad your family had such a positive experience with them. Last year we skipped our Disney vacation and did some of the things we never have time for when we go to the parks. The kids really loved the Fantasia Gardens Mini Golf. It was also nice to go to Downtown Disney for a whole day. 🙂 Another one I would add would be to just sit and enjoy your resort for a while. We stayed at the Polynesian a couple of years ago and the morning of check-out I sat out on the balcony for the first time. It was such a nice relaxing moment, and I wish I had done it more! Terrific list Erin. We vacation at DW two to three times per year and didn’t know about most of these! We’ll try the carriage ride at Wilderness next month – thanks! At the Grand Floridian lobby, there’s live music nightly – alternating between a live jazz band one night, then a piano player the next. The piano is our favorite because they take requests for Disney classics and the kids can dance about. The full size Gingerbread house during holiday season (also in the GF lobby) is amazing too. Great list. As always, I learn something new from Erin’s lists. This is our 1st trip in DVC, so will be taking advantage of the DVDs and board games during our afternoon breaks. One thing that should be banned from the list – The “Stacey Channel”. The kids love it and for first time visitors it is helpful, but otherwise it should be banned. You should move #30 to #1! Well, the list wasn’t meant to be in any particular order. But I agree, GKTW is an amazing organization. Ride the boats around. You can ride from MK to Wilderness Lodge, from DtD to Orleans, the friendship boats from DS to boardwalk, etc. Love riding these at night. Great list! One of our favorite things we’ve done on a “way too busy to brave those crowds” day is to ride the monorail around the resorts, stopping at each one’s lounge just to soak in the atmosphere while we enjoy a cocktail, ending on the beach at Poly watching the Water Pageant and fireworks. Best non-park afternoon I’ve had! I really want to check out Fort Wilderness, you pointed out so much to do there! Probably best when it cools down a bit. Horses and heat probably don’t smell so great!